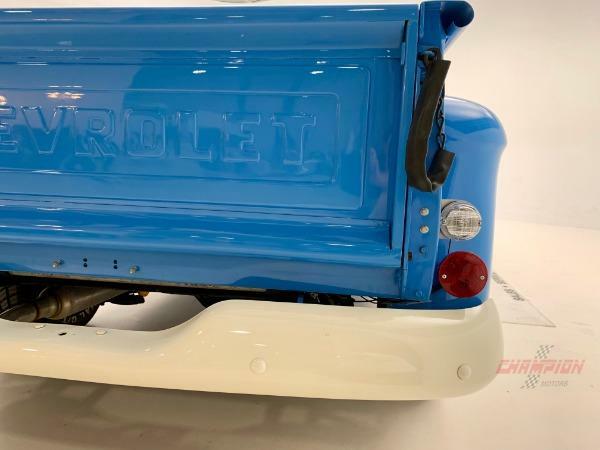 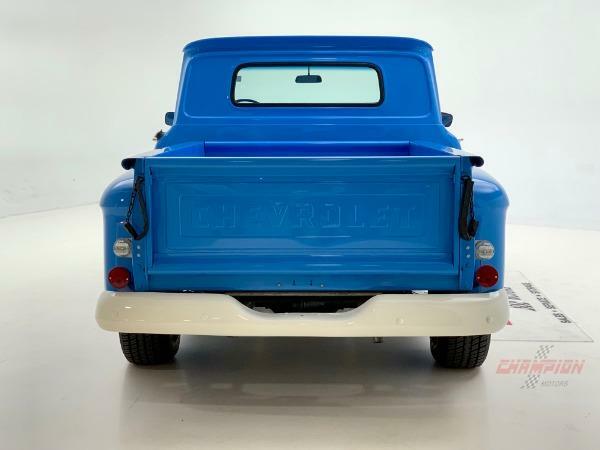 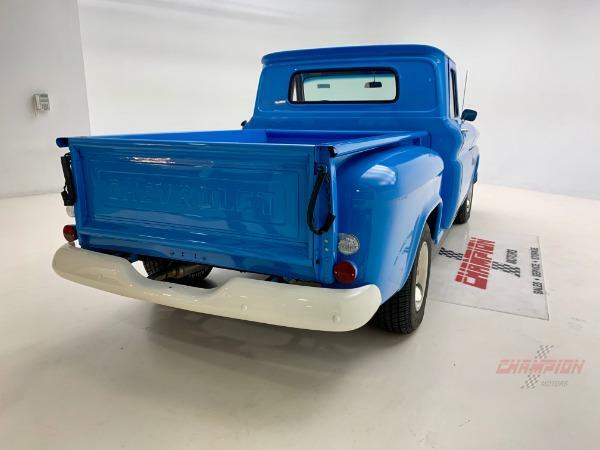 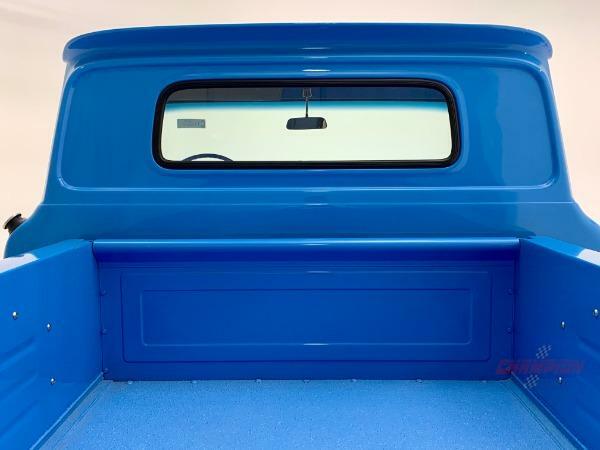 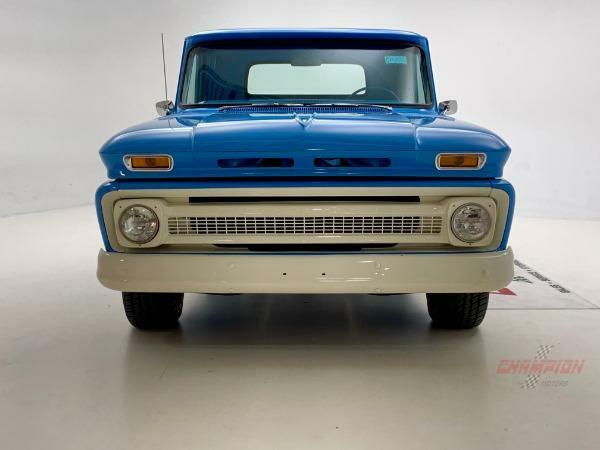 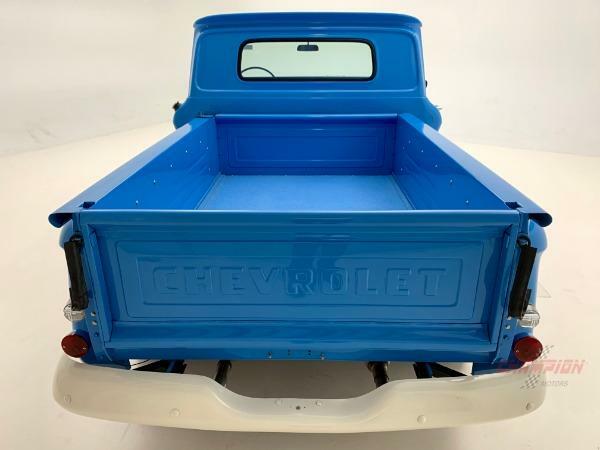 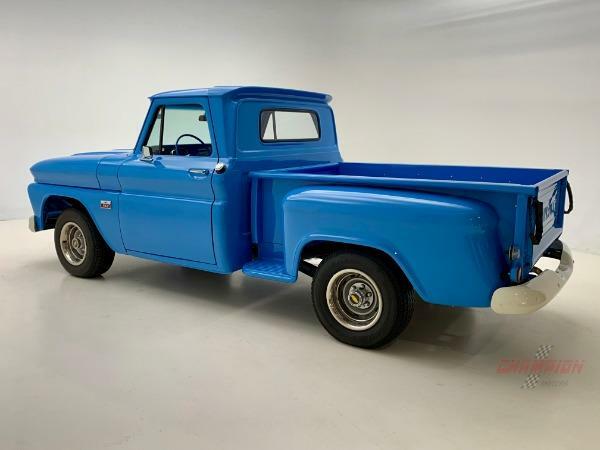 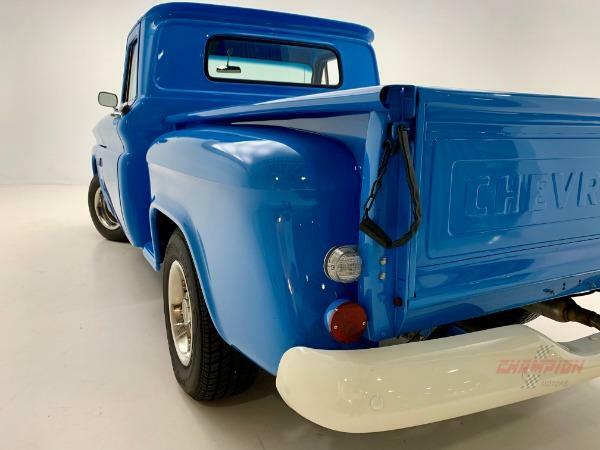 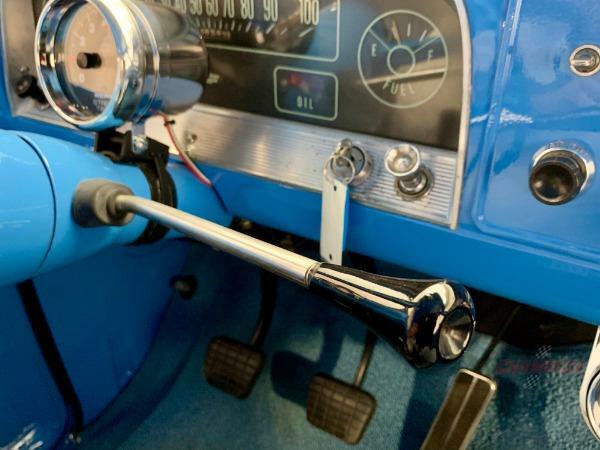 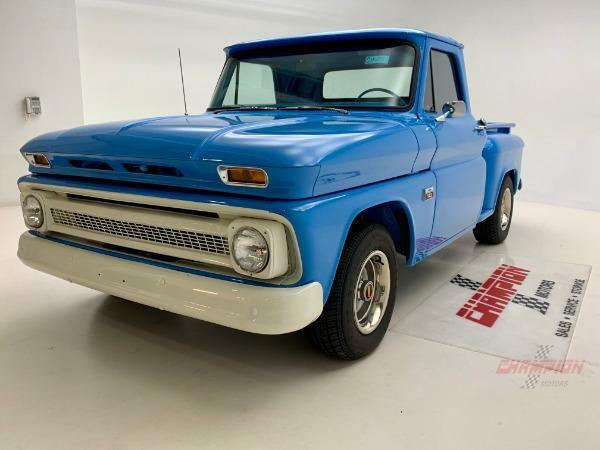 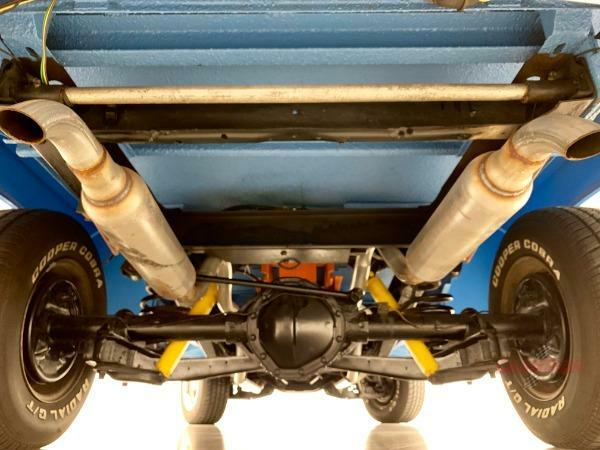 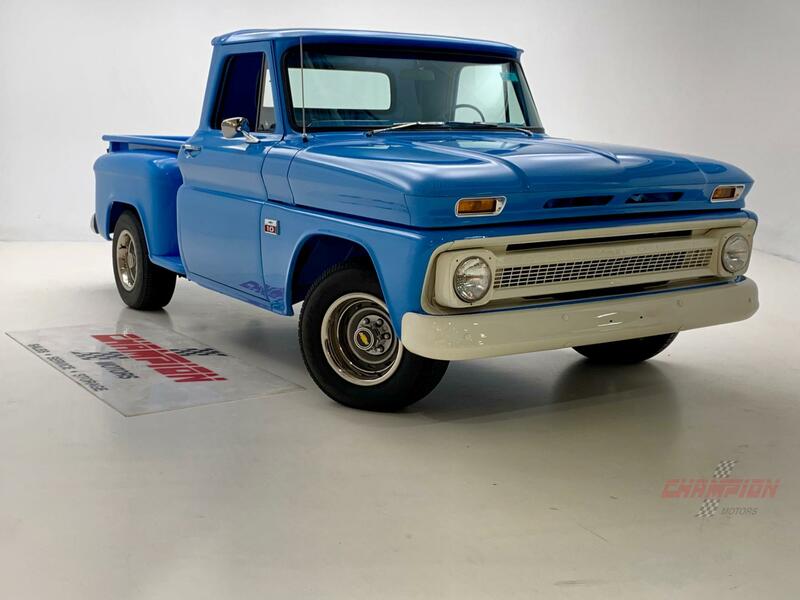 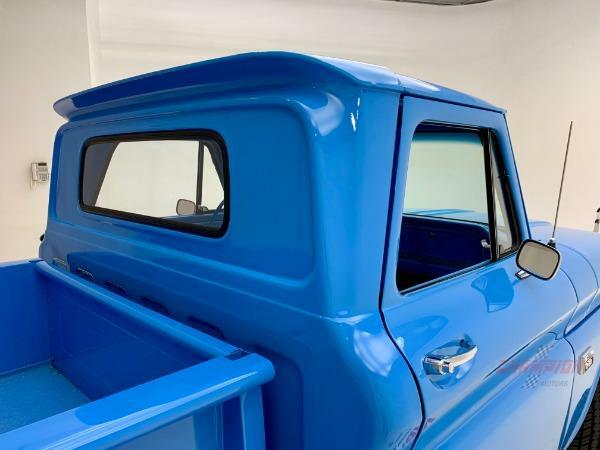 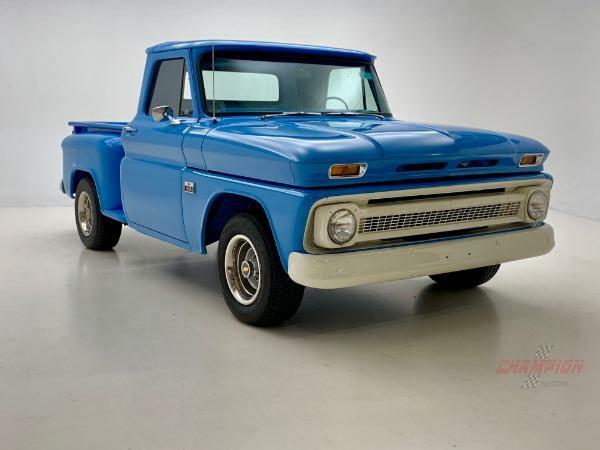 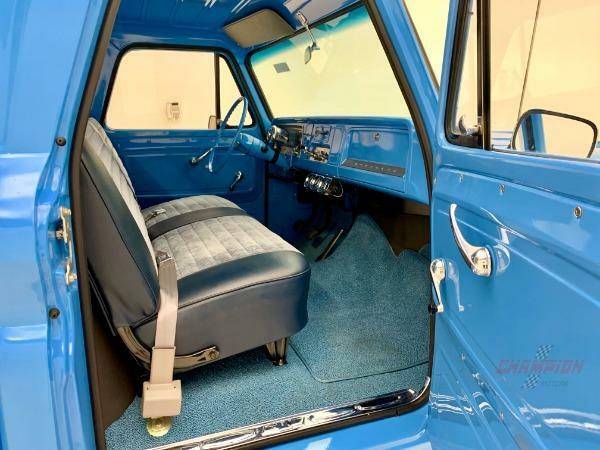 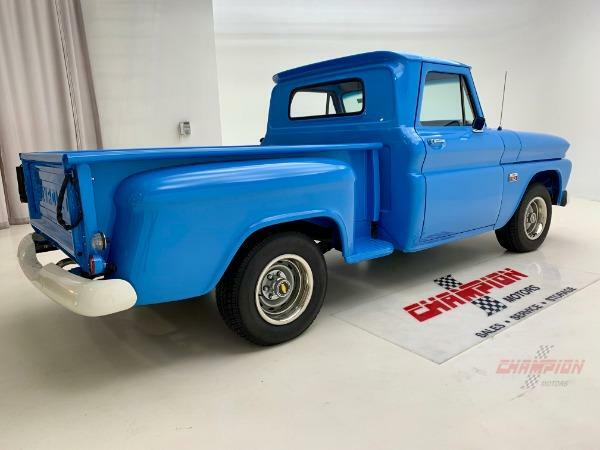 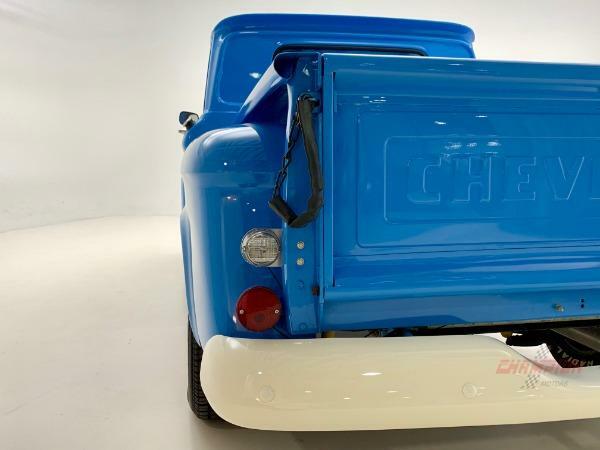 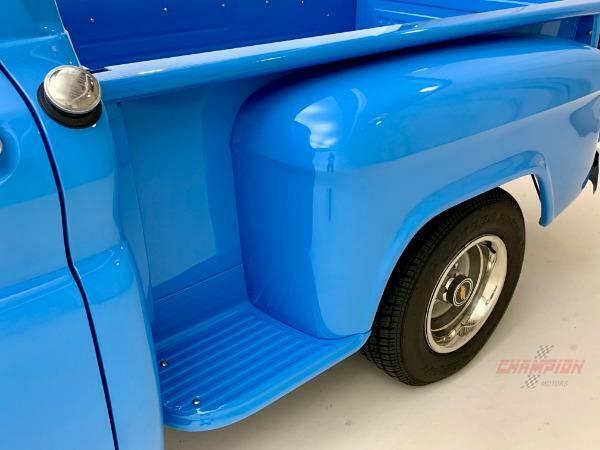 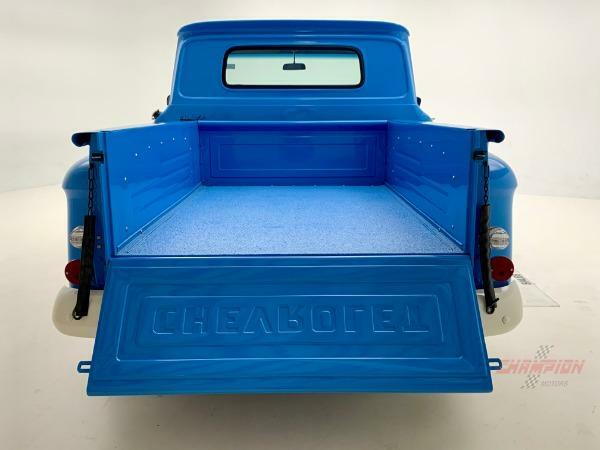 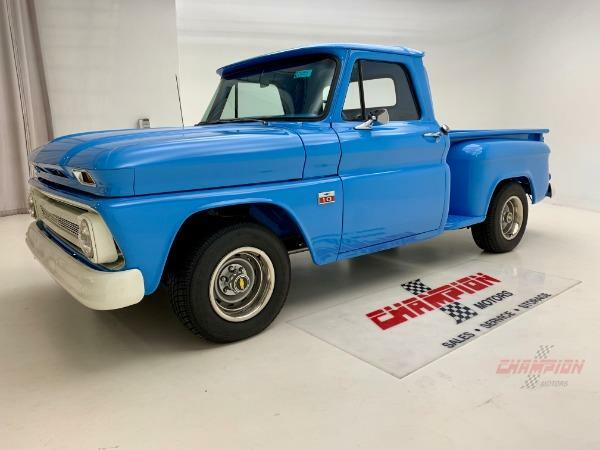 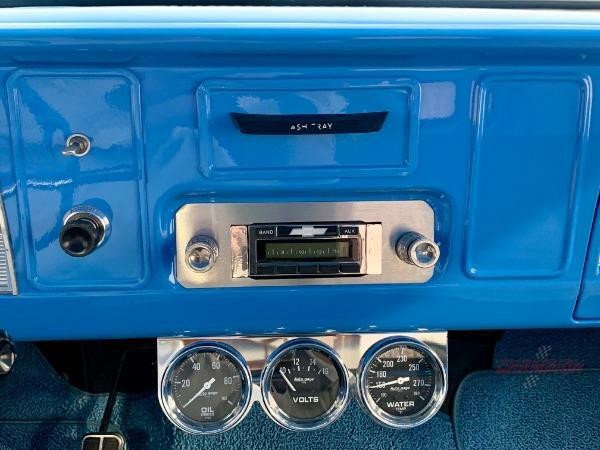 Champion Motors International presents a beautifully restored 1966 Chevrolet C10 Step-side Short-bed Pickup. 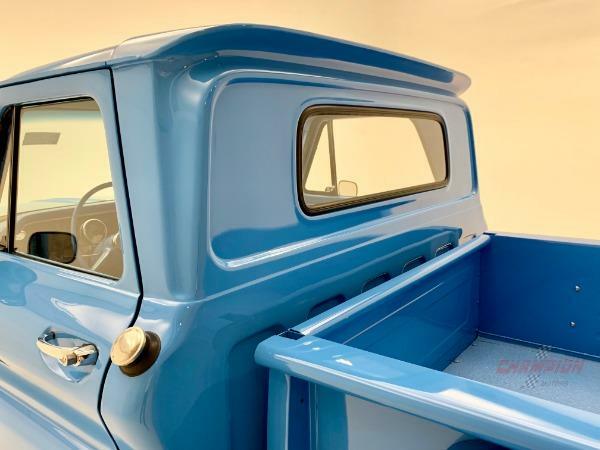 With only a couple thousand miles since being frame-off restored, this truck is in amazing condition. 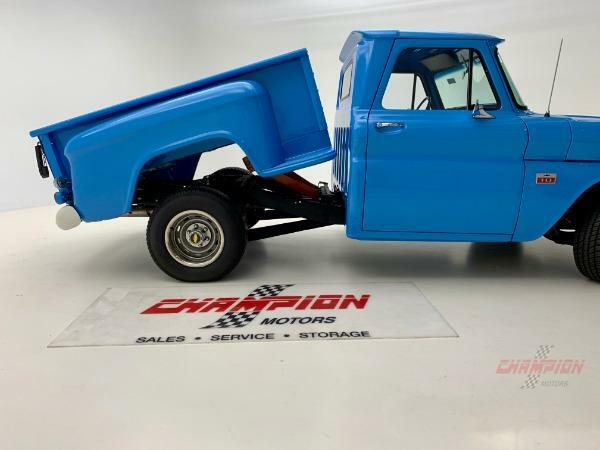 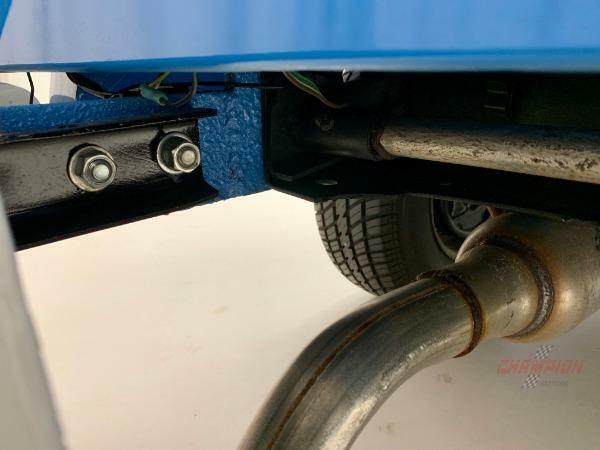 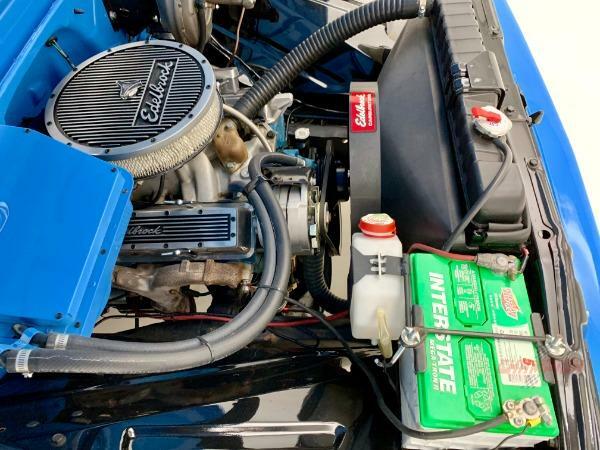 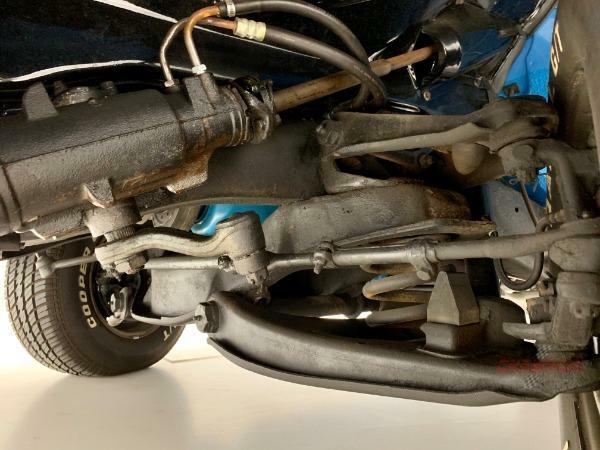 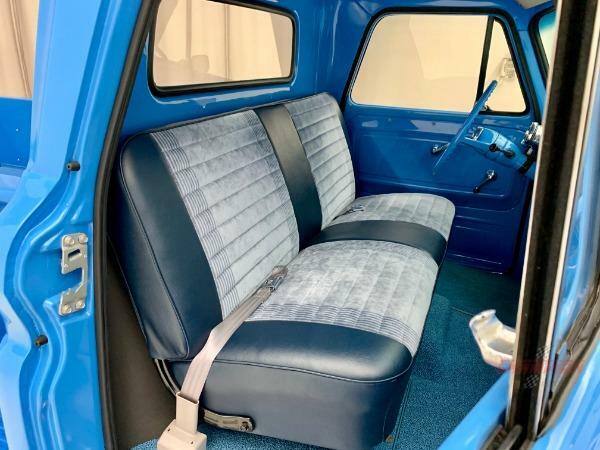 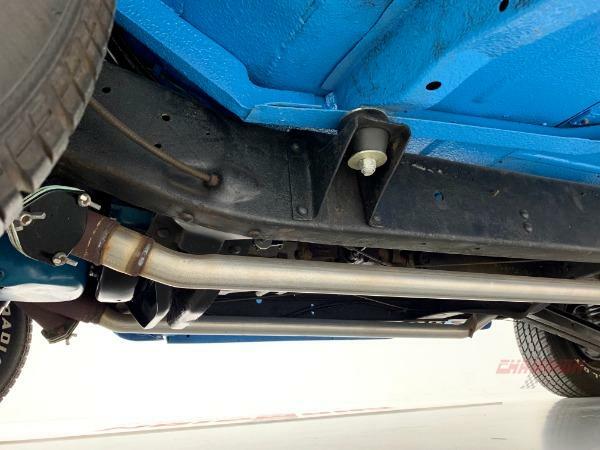 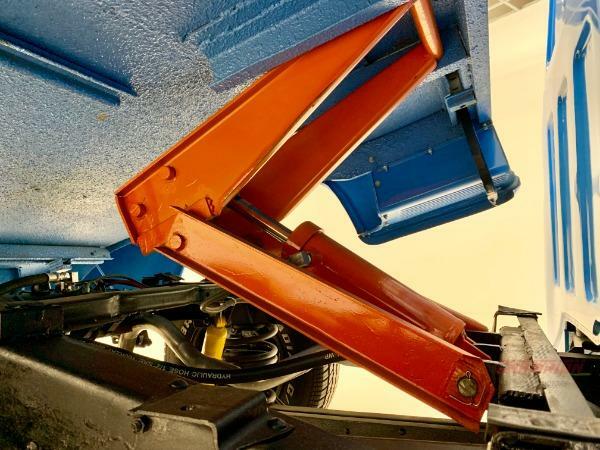 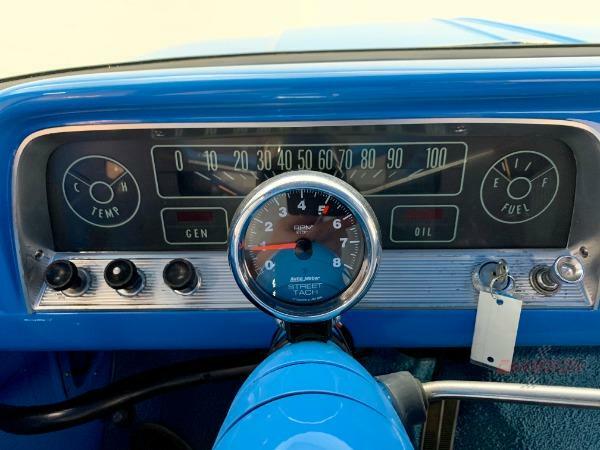 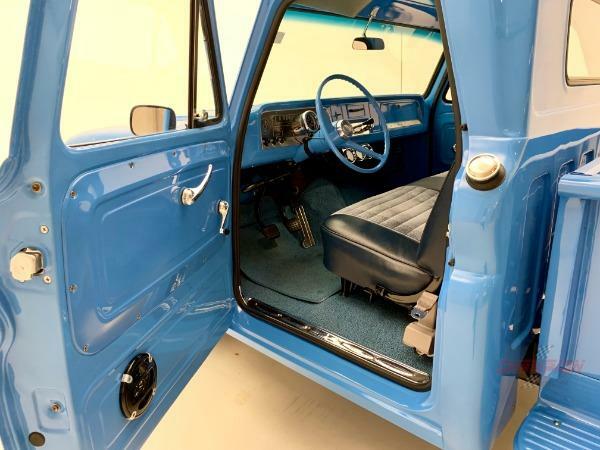 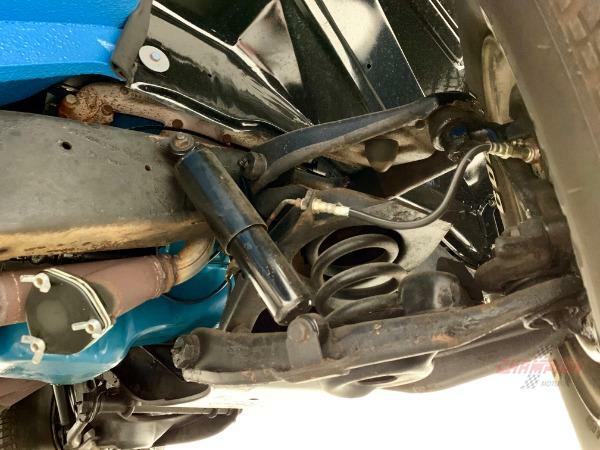 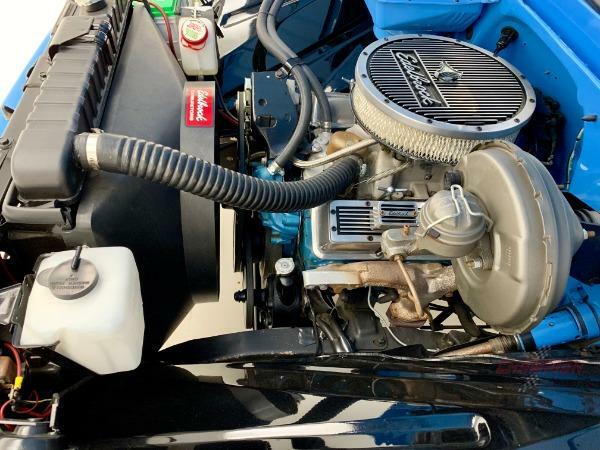 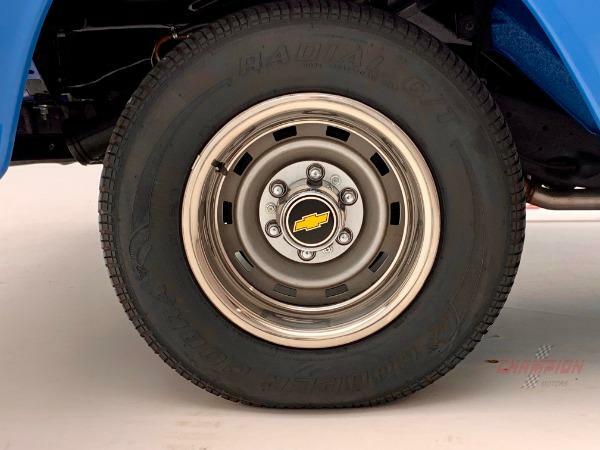 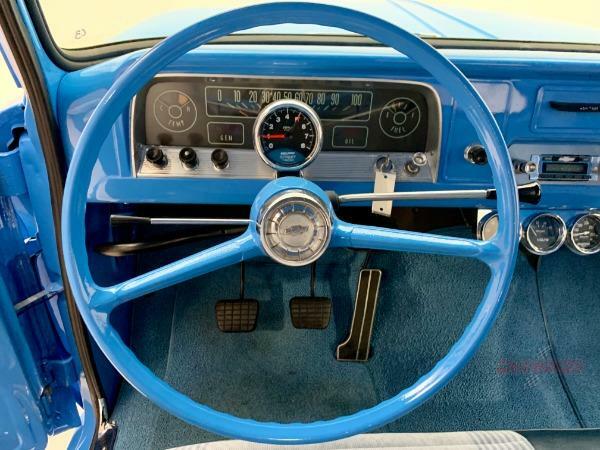 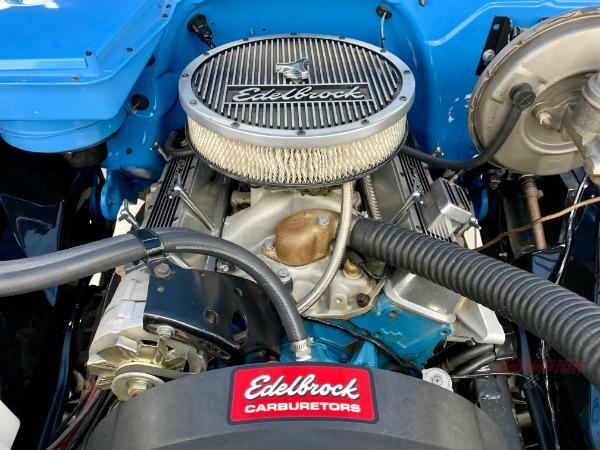 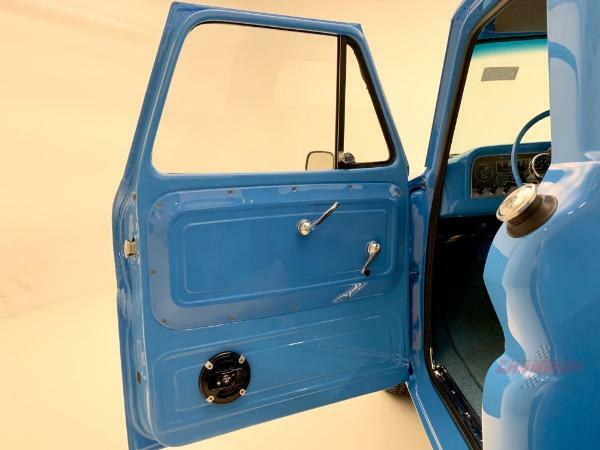 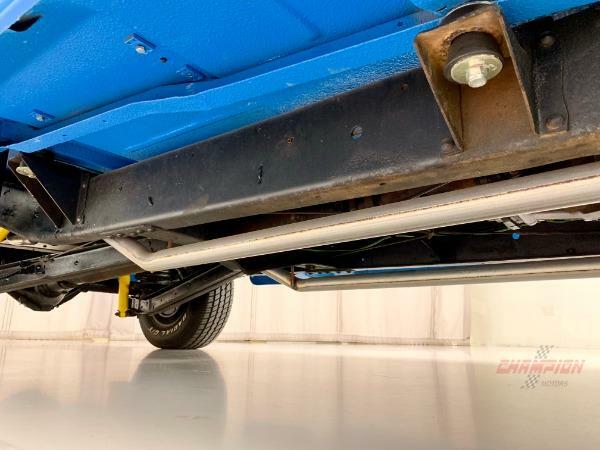 Features included on this C10 include a recently rebuilt 350 V-8 engine, 3-speed manual transmission with shifter on the column, 12-bolt posi-rear, Independent suspension, Hydraulic bed, updated stereo system, power brakes, power steering, power brakes and more. 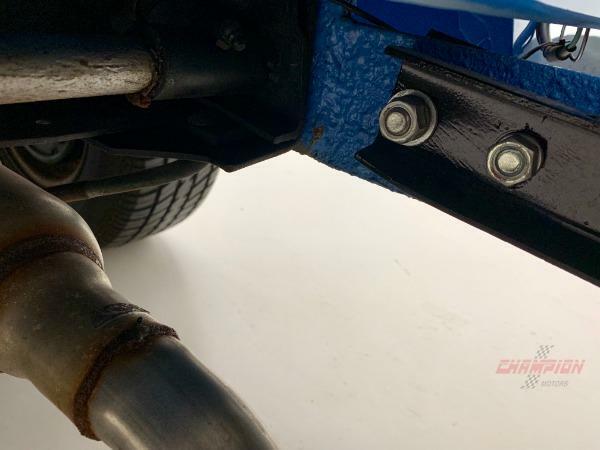 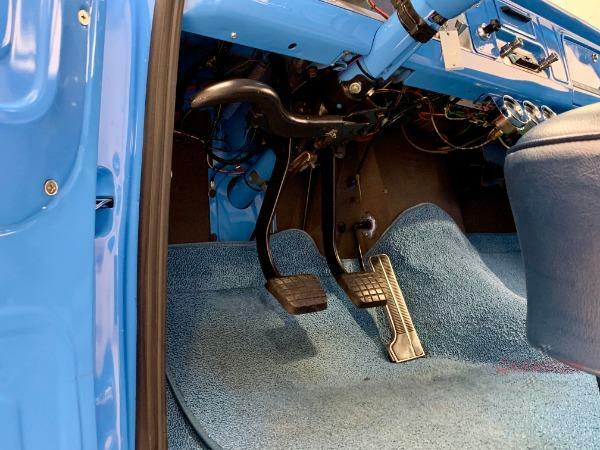 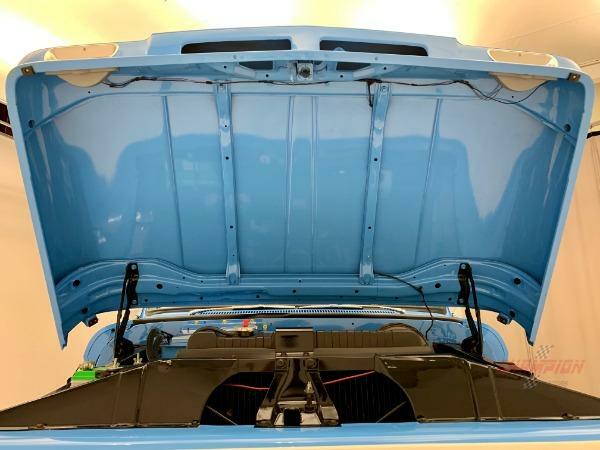 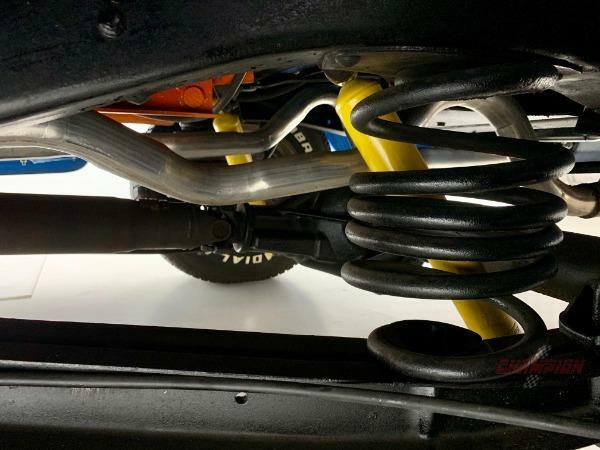 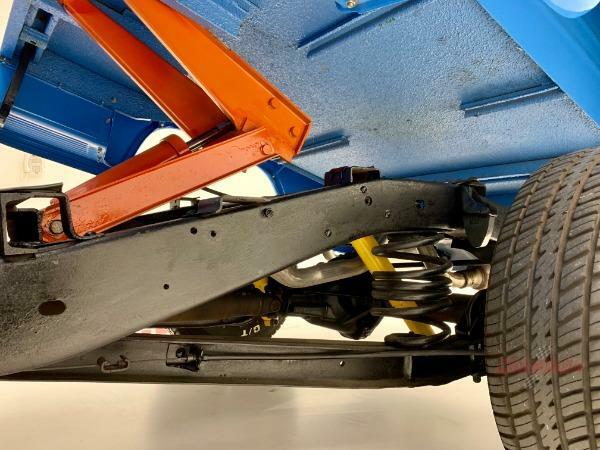 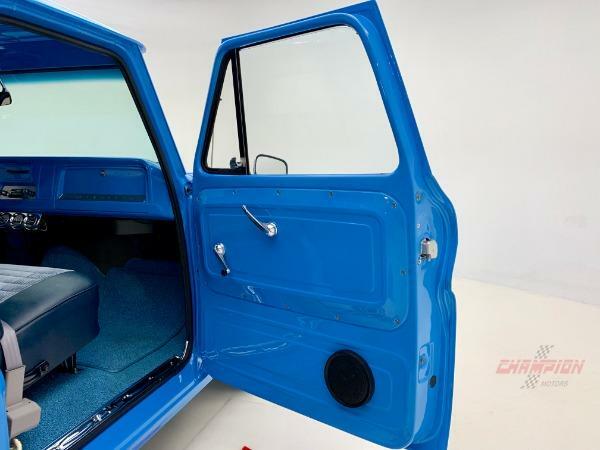 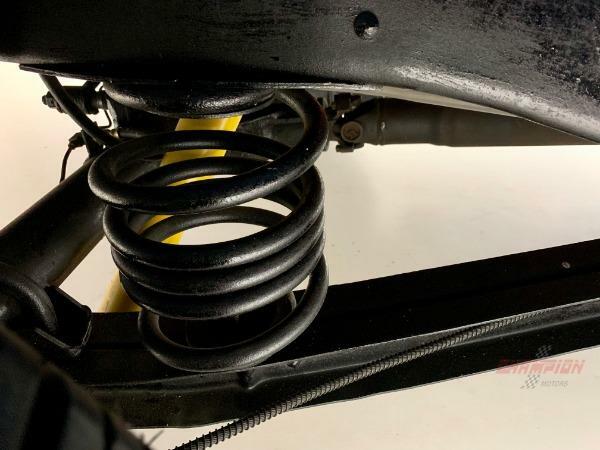 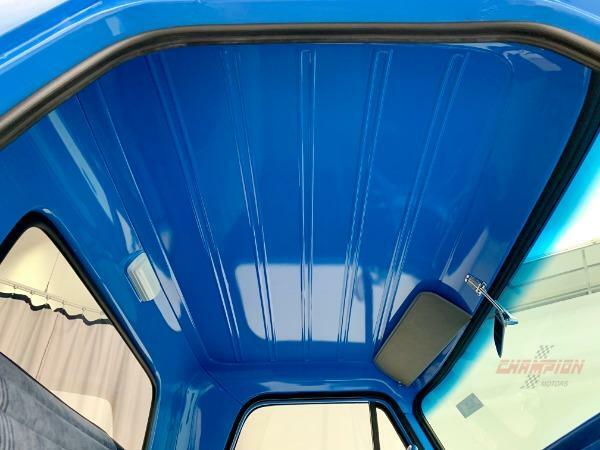 The paint is nearly show quality and looks spectacular, the interior looks like new and the engine compartment and undercarriage is fully detailed. 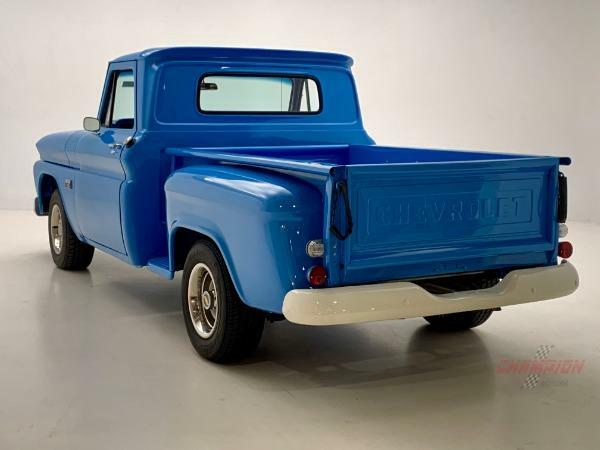 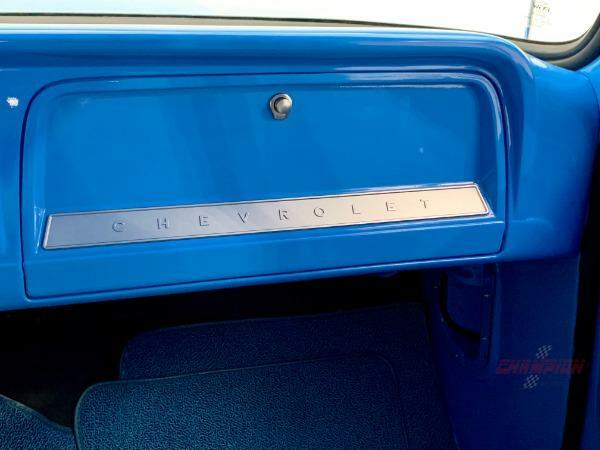 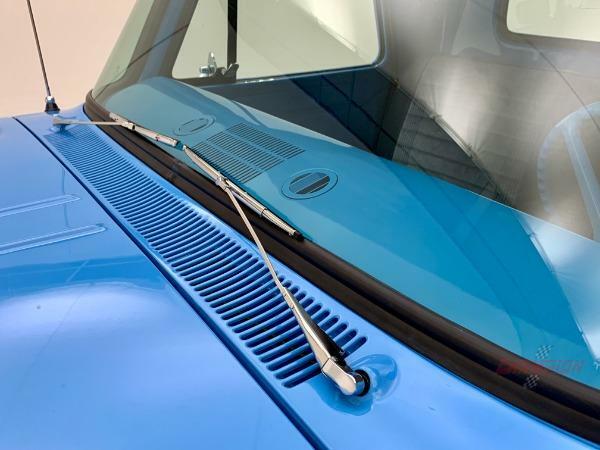 In 1966, there were approximately 59,947 C10 Step-side Pick-ups produced. 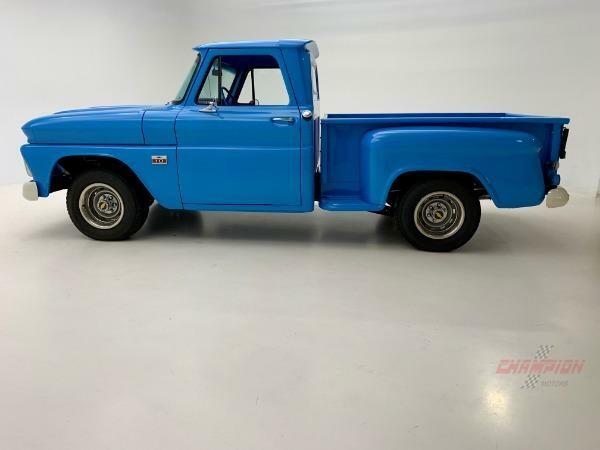 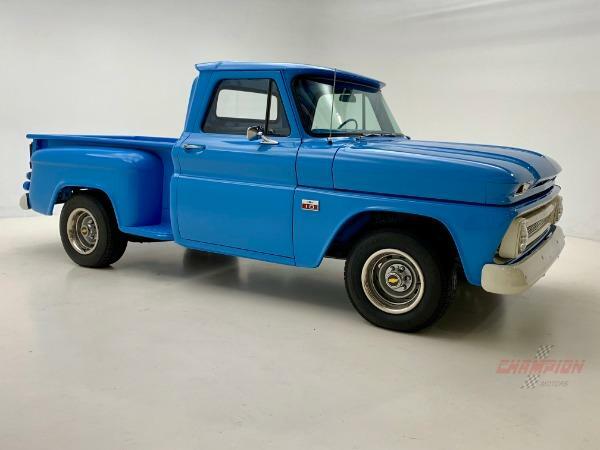 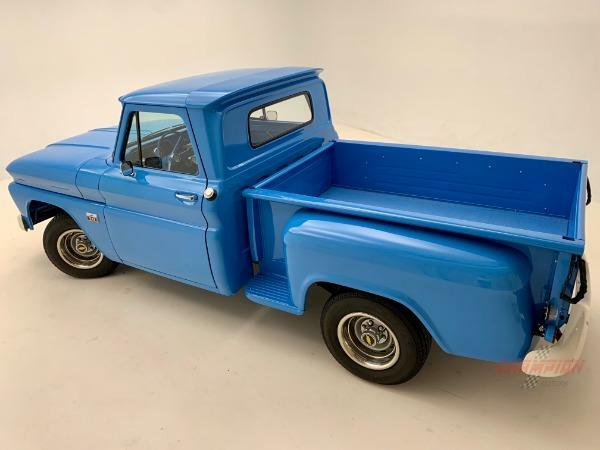 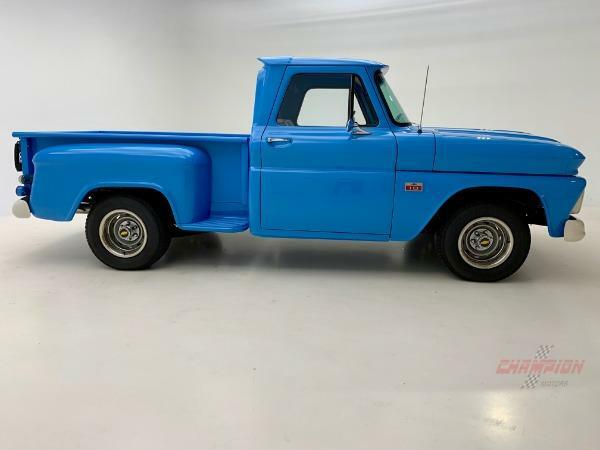 This body style was introduced in 1960 and ended in 1966. Notable features for this model included a drop-center ladder frame which allowed the cab to sit lower and independent front suspension which gave the truck a car-like ride. 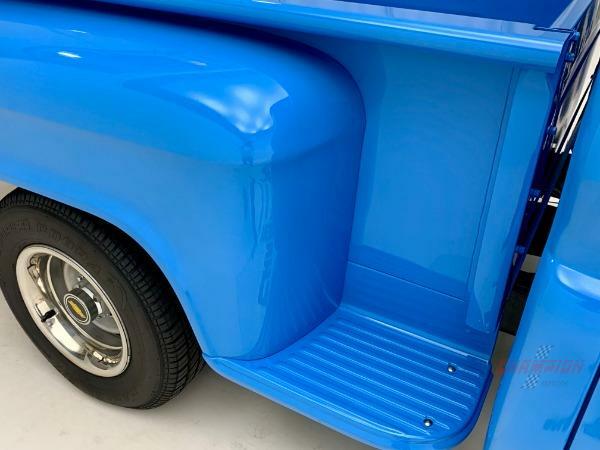 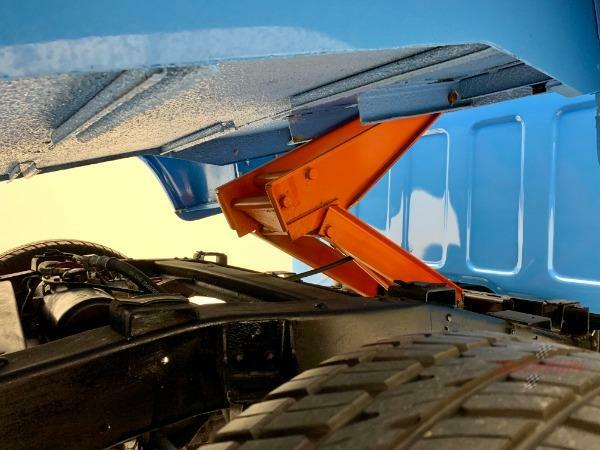 This Step-side will give its next owner plenty of enjoyment. 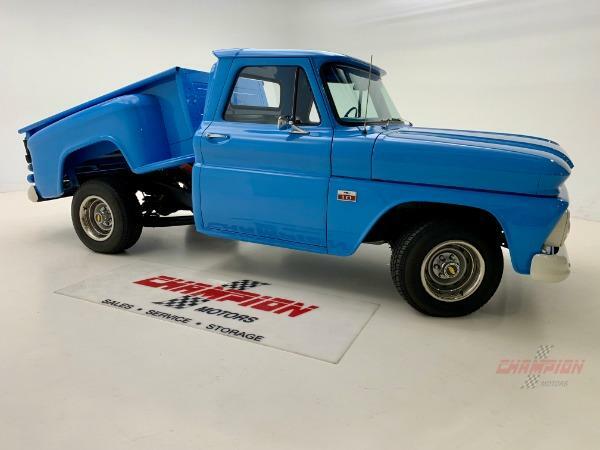 Show or drive this truck with pride.